If none of the iPhone cases available suit your needs, then why not make your own? It’s possible, say a team of researchers that have designed a printer capable of making almost anything - including more of itself. The Replicating Rapid-prototyper (RepRap) was created by scientists from the University of Bath and is essentially a printer that’s able to build 3D plastic objects, such as door handles. It uses a technique called “additive fabrication” to 'print' thin layers of molten plastic which then solidify. Spray another layer on top of the first, then more layers, and you can make useful objects. RepRap has even been used to create another version of itself, essentially seeing the original, or parent, machine create a so-called child version. Although 3D printers aren’t a new concept, the team claims that RepRap is the first such machine able to ‘print’ itself. 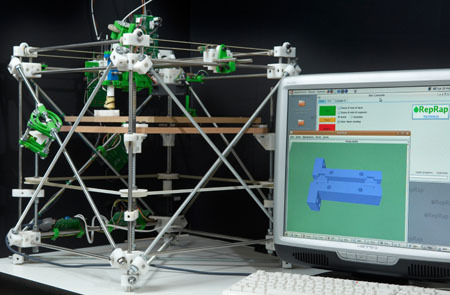 The researchers based RepRap on open source software and published tutorials online that describe the machine’s design process. Using its plans, the Bath University team claims a motivated amateur could build themselves a RepRap for around £300 (€380/$590). Dr Adrian Bowyer, a senior lecturer in engineering at Bath University, oversaw the RepRap project and said the machine allows people to make exactly what they want. “If the design of an existing object doesn't quite suit their needs, [users] can easily redesign it on their PC and print that out. They can also print out extra RepRap printers to give to their friends,” added Bowyer. Vaccum cleaner bigwig Sir James Dyson even sucked-up the courage to publically congratulate the Bath University team on its RepRap success. 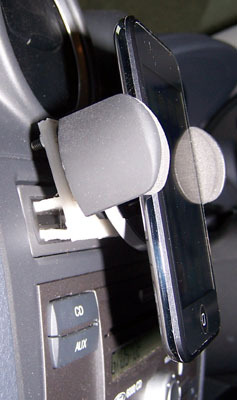 “It could allow people to change the ergonomics of a design to their own specific needs,” he said. If you’re inspired to build your own RepRap, then a list of the parts required and details of how then to put them together are available online here.